Microsoft’s Windows operating system is highly lauded because specialized versions of it have been created in order to work seamlessly in specific settings. For example, Windows 10 Education is geared towards educational environments like schools and thus offer educators and students specific features that enhance the educational process. In this article, we examine two operating systems from Microsoft, specifically Windows 10 Education and Windows 10 Home. We juxtapose these operating systems by looking at some of the features they share and don’t share, emphasizing the pros and cons of these features. Lastly, we offer our final thoughts on each operating system, noting our predictions for the future. Windows 10 Home is the most basic operating system offered by Microsoft. Customers can purchase Windows 10 Home for $. It works seamlessly with many laptops and desktop computers. Windows 10 Home includes Microsoft’s traditional array of productivity applications like Word, Excel and PowerPoint. Furthermore, Windows 10 Home supports the latest technology in display resolution, allowing gamers to play games in 4K. Windows 10 Home also supports many new log-in technologies, from fingerprint sensors to facial recognition software. This results in a secure computer with elegant functionality. Windows 10 Home also supports the touchscreen technologies that are featured in many hybrid laptops. This is a growing trend in the computer industry, so it’s critical that Microsoft’s newest operating system supports this functionality. Lastly, Windows 10 Home allows users to interact with Cortana, a digital personal assistant that can execute many commands. 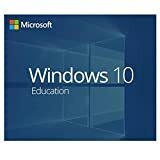 Microsoft advertises that Windows 10 Education is almost identical to Windows 10 Enterprise except that Windows 10 Education provides education-specific default settings. Windows 10 Enterprise and Windows 10 Education are both designed for businesses and schools with many users that are often spread out over a large area. Both include all the features that Windows 10 Home offers, plus many more. Windows 10 Education makes IT administrator’s lives much easier, offering them greater control over each workspace as well as other elements of their school’s wireless network, like bandwidth and connection speed. Additionally, Windows 10 Education offers many security features that Windows 10 Home does not offer, allowing schools to protect their data and prevent hackers and viruses. Furthermore, Windows 10 Education allows users to remotely access their files, folders, and applications, either through their own computer or through any computer that supports Windows 7 or later. This can be achieved using a USB drive that has been certified by Microsoft. A list of these can be found here. Windows 10 Education also allows users to delay when certain updates take place as well engage in BranchCache if they have a WAN network. In order to purchase Windows 10 Education, you have to go through Microsoft’s Volume Licensing Service Center. Windows 10 Education is unique because it offers default settings that are chosen with educators and students in mind. Many of these educational default settings avoid various suggestions that are often made by the Microsoft Store. In additional, these default settings avoid many tips, tricks, and suggestions that are offered to users when using Windows 10 Home more generally. These pop-ups add nothing to the educational process. In addition, educators can disable Cortana. This customized approach simplifies the process of building a technologically thriving campus. If you used Windows 10 Home on your school’s computers, you would have to customize each computer if some feature was not desirable. This could be tedious and, in some cases, almost impossible. When considering Windows 10 Education vs Home, you have to reflect on how many computers you will be installing the operating system on and what initial settings you want students to encounter. If these initial settings differ from Windows 10 Home in any way, then Windows 10 Education likely is your best bet. AppLocker is a feature that is exclusive to Windows 10 Education. This allows administrators control over which applications students use and which are avoided. This is an important feature considering how sensitive a school’s network is. Every time a user uses an application, the entire network is at risk. By regulating which applications can even be used, educators can guarantee a smooth educational process without interruptions or distractions. Windows 10 Home lacks AppLocker, which makes it more ideal for personal usage. If you are interested in deploying an operating system to many computers, it’s wise to choose an operating system with AppLocker, as this will allow you maximum control over how users will interact with the computers. This allows you to take preventative security measures rather than having to respond to breaches and attacks. Windows 10 Home offers some content control settings that make it ideal for students and children. But, these measures best serve a personal computer, not a large number of computers that make up an educational environment. Windows 10 Education also offers a feature called BranchCache that Windows 10 Home does not offer. BranchCache is perfect for schools or businesses that utilize a wide area network (WAN) connection. This feature will allow users to store data locally instead of using the WAN connection to communicate with the main server. This results in a more efficient network with faster connection speeds. Windows 10 Home does not support this feature, making its use limited when it comes to schools and business environments that are spread out over long distances. When examining Windows 10 Education vs Home, the network security that the operating system enables is a big factor. Many educators want the best security available for their school, protecting the school’s network from cyber-attacks, costly viruses, and other data breaches. Windows 10 Education offers many more security applications than Windows 10 Home. Windows 10 Home offers some basic antivirus software and computer scans, which should be sufficient for individual users. But, schools would benefit from the amped up security features of Windows 10 Education. One of these security additions is Windows Defender Advanced Threat Protection. This makes the network more secure by removing threats before negative consequences result. This is vital for any large network like a school but less important, perhaps, for an individual user, though this depends of course on how risky your usage is. If you would benefit from extra security measures, then Windows 10 Education might be more appropriate for you. Generally speaking, both Both Windows 10 Education and Windows 10 Home are not supported by Apple products, which limits their functionality to certain brands of computers or tablets. This is frustrating since many users love the hardware of Apple products but don’t like their software. Yet, these users cannot purchase a Windows 10 operating system to use with their device. 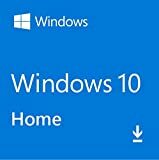 When considering Windows 10 Education vs Home, you should think about what devices will even run the operating system.Windows 10 Education and Window 10 Home are known as secure operating systems that are trustworthy. Large schools and businesses rely on them every day without experiencing significant data breaches or attacks. Simultaneously, it’s important to note that schools are hotbeds for intellectual activity, especially related to technology and computers. This means that modern schools should be extremely careful how protected their data is, as a precocious student could threaten the system in some conscious or unconscious way. Both Windows 10 Education and Windows 10 home support the latest innovations in portable computer technology. This includes stunning 4K displays as well as touchscreens, stylus pens, webcams, fingerprint sensors, and most modern processors. This means that the devices that use Windows 10 Education and Home are often cutting-edge and provide users with an immersive experience. Sometimes the hardware and software of a product can be out of sync. Luckily, all of the models within the Windows 10 lineup have been designed with popular hardware in mind. Consequently, if your device can run Windows 10, then it will likely do so seamlessly and effortlessly, providing you with an incomparable experience. Both Windows 10 Education and Windows 10 Home are not supported by Apple products, which limits their functionality to certain brands of computers or tablets. When considering Windows 10 Education vs Home, you should think about what devices will even run the operating system. Both Windows 10 Education and Home offer users access to the traditional Microsoft productivity applications, like Word, PowerPoint, OneNote, and Excel. These are easy to use and perennial favorites among users. Many users purchase a Windows operating system simply to gain access to these productivity applications. They maximize your ability to organize, store, analyze, and display all types of information. Most importantly, users are likely to encounter the interfaces from these applications throughout their life, as many businesses and universities rely on these applications. Thus, it would be smart for K-12 schools to integrate Windows 10 into their computers to prepare students for universities and the job market. Additionally, if you are a parent purchasing a computer for your child, going with the Windows 10 Home operating system might be the best approach. This will prepare your child for years of using Microsoft Word. When considering gaming, Windows 10 Education offers the same features as Windows 10 Home. Windows 10 generally offers great support for gamers, including a game mode that allows the device to change what processes its devoting energy to. This game mode can result both in smoother gameplay and increased battery life since the device is functioning more efficiently. Furthermore, Windows 10 includes Game Bar, a portal that allows gamers to execute certain actions, like stream their gameplay or take screenshots. One drawback of Game Bar is that it only supports some games in full screen, thus limiting its functionality. It’s also important to note that Windows 10 Education offers nothing above and beyond Windows 10 Home when it comes to gaming. This is a missed opportunity, as gaming is increasingly being viewed as effective at promoting learning, both in the classroom and outside it. Many universities are initiating gaming stations that allow students to relax and blow off steam during breaks. This actually promotes productivity, as students leave the station feeling refreshed and ready to work. Windows 10 Education offers no support when it comes to gaming on university campuses, or even more simply, on K12 campuses. If these schools wanted to create gaming experiences that spanned the entire student body, then Windows 10 Education would not offer much enhancement. Both Windows 10 Education and Windows 10 Home offer the same interface for users to work with. This interface is highly lauded within the industry for its easiness to master. This is especially the case for traditional laptops, as Windows has been the most popular operating system on these devices for years. Windows 10 operating systems are not only intuitive to master but also offer many help screens that guide users in times of difficulty. This is especially good for beginner users who are just becoming accustomed to navigating a computer. Technically, Windows 10 Education offers users a different interface. This is because Windows 10 Education offers the Windows to Go feature. This feature allows users to run Windows 10 on any computer that can run Windows 7 or later, whether that computer is actually running that operating system or not. When using Windows to Go, users install Windows 10 using a USB drive that has been certified as compatible by Microsoft. This allows users to run Windows 10 in a workspace window on the remote computer. This would be perfect for traveling educators or teachers that want to access some file or application away from school. We think Windows 10 Home would be ideal for individual users while Windows 10 Education would be ideal for schools. Windows 10 Education has some subtle advantages over Windows 10 Home when it comes to integrating with school environments. These advantages might seem insignificant in abstraction, but they are critical in reality. Any principle knows how important consistency is to the development of a child. It’s important to accept that computers play an important role in the development of a child. Therefore, these machines must be consistently functioning in order to maximize each student’s educational experience. The best way to accomplish this is to purchase Windows 10 Education. We think Windows 10 Education’s security measures are unprecedented and will offer IT administrators many options for protecting the schools network. Additionally, we think Windows 10 Education’s specialized default settings make it ideal for new schools that are looking to install operating systems on many computers. Windows 10 Education prevents administrators from having to tinker with settings on each computer. This results in saved energy and time. It’s important to note that while Windows 10 Education represents an excellent operating system that will support most school environments, we think it’s still young in its development. We think that operating systems designed for technology at schools is a growing trend that will only increase in the future. We can envision a future where the interfaces we use at school are completely different from those that we use at home or elsewhere. Eventually, we think education will become so valorized in our society that our operating systems will not only support our growth but take part in it. It seems that personal digital assistants are already a popular theme within recent smart phones, and we see this as representative of our intimate connection to technology. In the future, we think each user will not only have digital assistants but perhaps digital friends and digital children. Perhaps we will even have digital copies of ourselves in the future. Or, we might have digital tutors that fulfill all of our educational needs at the sound of our voice. Regardless, the software integrated in our future devices will not only serve us but be served by us. We will turn in digital homework and receive digital feedback regarding our essays, paying our operating systems bitcoins for their services. This will not make classrooms obsolete. Rather, it would change their form, as the operating system that powers our technology would be indispensable for our education. In a sense, this is already the case. Most modern students would be helpless if they didn’t have access to the internet. We think our appreciation for technology will only grow in the future, starting with our relationship to our operating system. Once we appreciate how important our operating system is, we can begin to specialize them even further. This will lead to more seamless, immersive experiences whenever we use technology.